The RainbowHouse is also a club bar opened all year round by our member associations! 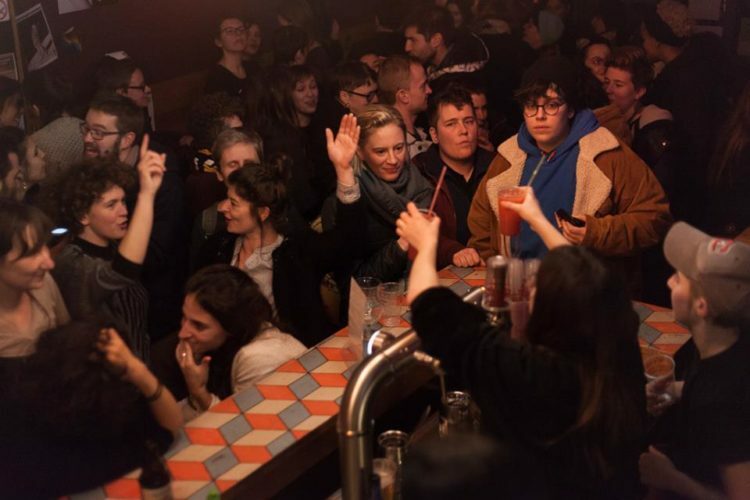 In addition to the soirees that are held in it, the bar is as well a source of information and a reception centre where everybody can gather news and all kinds of tips and information! The bar is opened to everybody from Wednesday till Saturday from 19:00 pm on! No dressing or gender code! The Brussels Rainbowhouse is also a pleasant exhibition space that mixes activism, sensitization and LGBTQI culture. The bar is opened to all visitors who wish to gather information and explore the exhibition place. Opened from Wednesday till Saturday from 19:00 pm on. The Brussels RainbowHouse also disposes of three permanent expositions that it places at the disposal of the institutions, associations and firms that may be interested in exhibiting them in their own spaces.